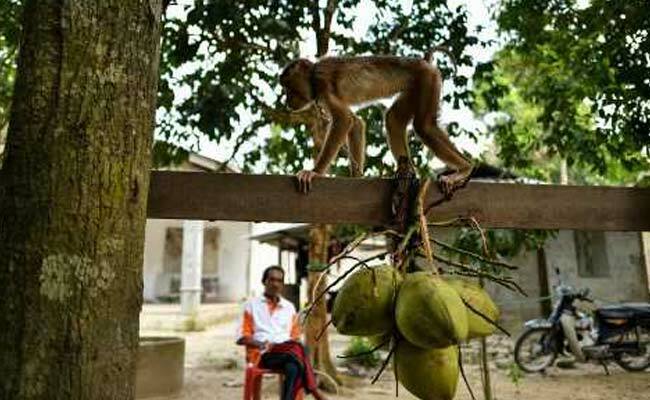 Thousands of monkeys have been taught the trade over the past four decades by a man known as Grandfather Wan in a small village in Malaysia..
Padang Halban, Malaysia: A pig-tailed macaque yanked at a coconut on a piece of string until it fell to the floor, a small victory for the simian student at a Malaysian school that trains monkeys to harvest fruit for farmers. 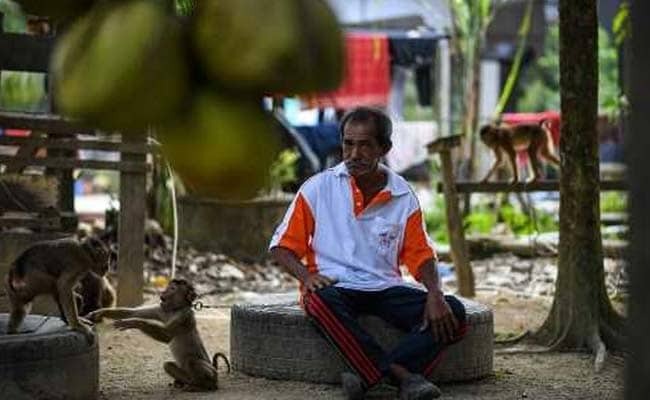 Teaching monkeys to pick fruit has in the past sparked protests from animal rights groups who have denounced it as cruel, but Grandfather Wan -- real name Wan Ibrahim Wan Mat -- insists he only ever treats his charges kindly. The course has several stages. 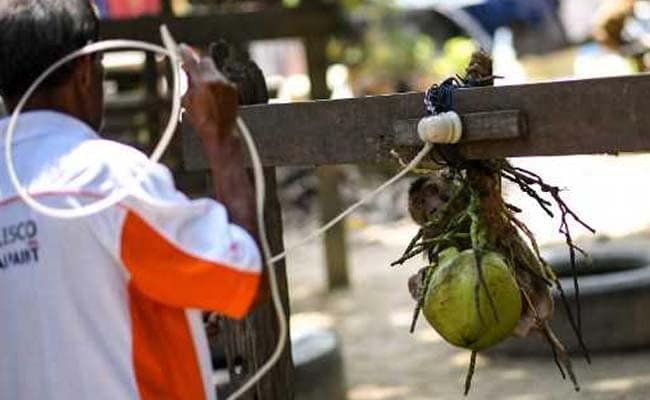 The first is training a monkey to yank a coconut free that is attached by a piece of string to a wooden fence -- aping the action of pulling one of the fruits from a coconut tree. "I've seen other people training macaques -- sometimes if they don't want to take coconuts, the monkeys are dunked into a river," he said. Wan Ibrahim's business won't be around forever -- he has slowed down since a stroke two years ago and now gets around with a walking stick.